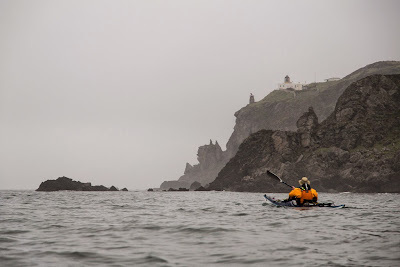 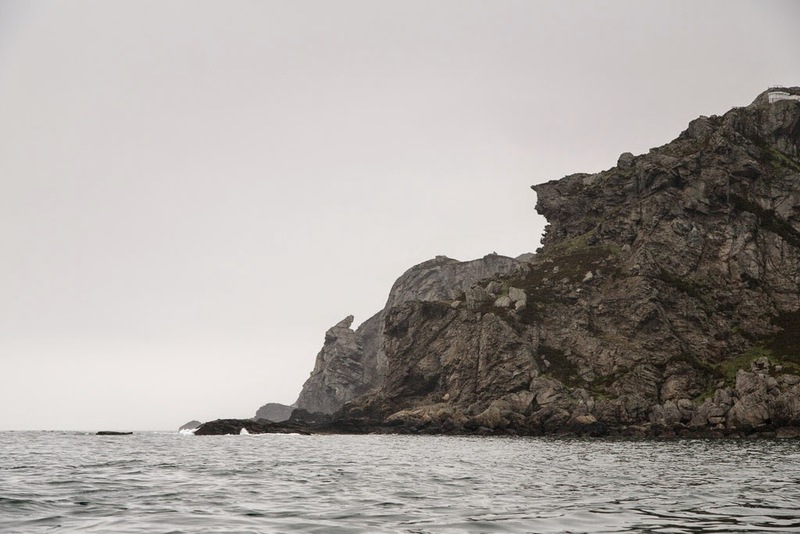 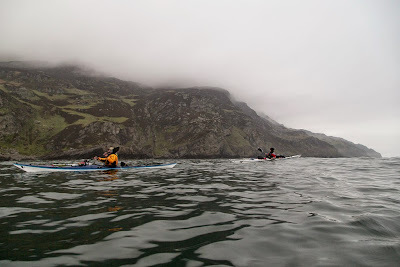 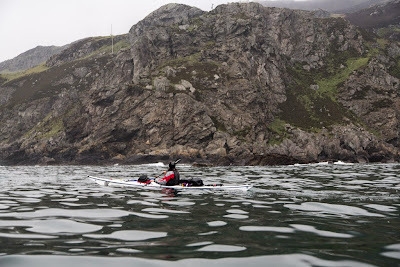 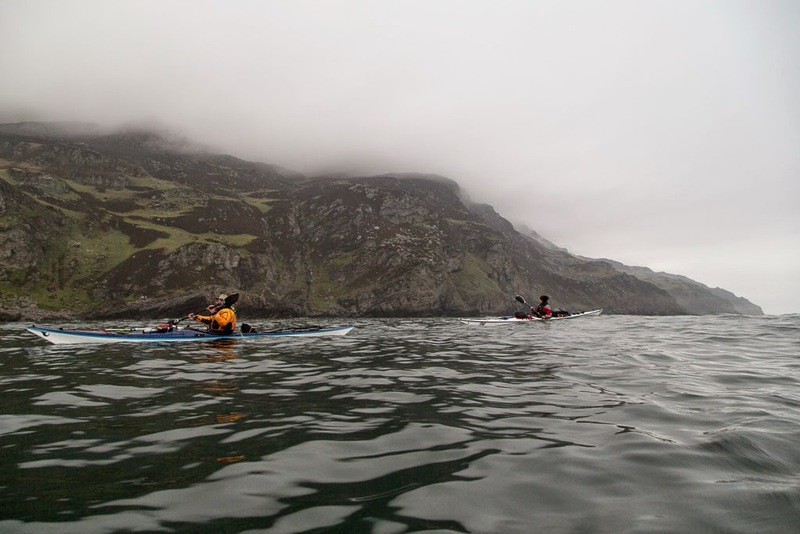 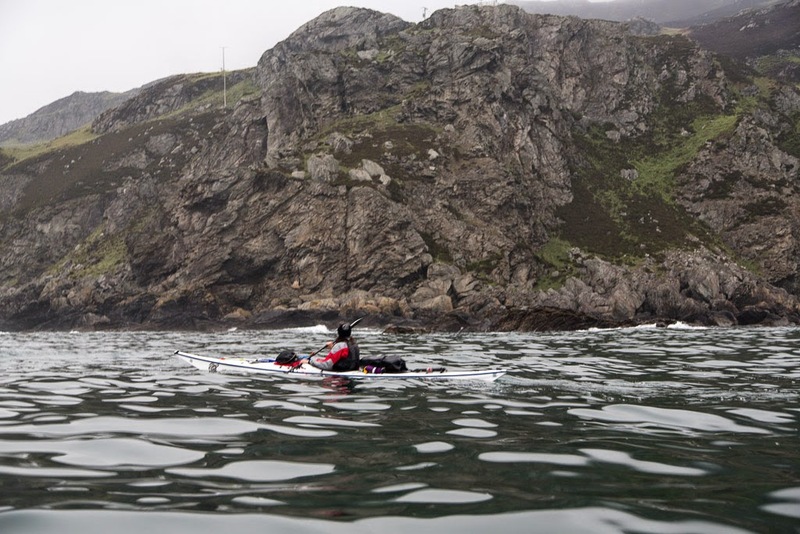 ...behind us lay headland after headland with their tops disappearing into the mist. The first sign of the hand of man was a series of power pylons leading to the south foghorn. 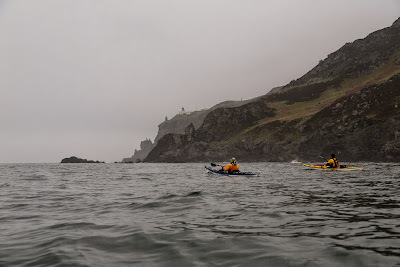 The tide was now carrying us north at 13km/hr (an hour after slack water) and at last the Mull itself emerged from the mist.